According to Rolls-Royce, the gargantuan 71kWh battery nestling under the lengthy bonnet of its Phantom 102EX is the largest ever fitted to an electric car. If it was the biggest, it isn’t any more. Because the electric Range Rover I’m gently guiding across Tower Bridge boasts 75kWh – four more than the Roller and roughly three times the energy wielded by a fully charged Nissan Leaf. 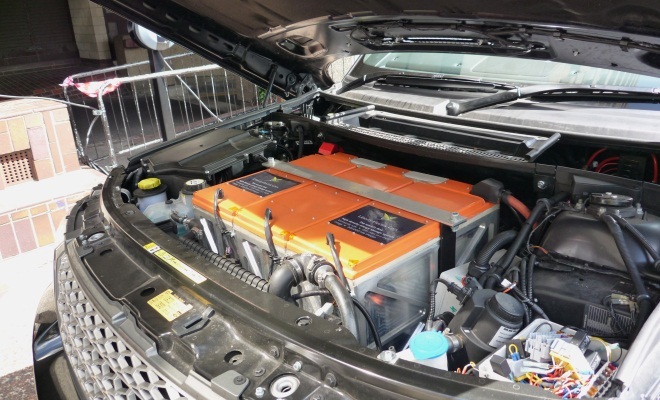 And all that stored energy gives the Liberty E-Range remarkable potential. Despite a hefty kerb weight of 2970kg, I can sprint from zero to 60mph in under seven seconds, peak at a governed 100mph, or travel roughly 200 miles on a single charge – to the limit of a Leaf’s range and back again. And I can do it all in leather-and-wood trimmed luxury, looking down on the hoi polloi from the top of my air suspension. The snag? The car’s not mine and it costs £160,000, which is Aston Martin or Bentley money. And that’s the sort of sum I was just a little short of in ready cash, last time I checked. 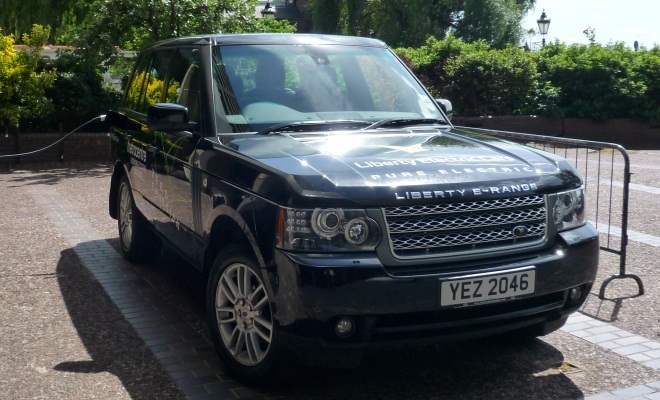 But if you are awash with the required liquid assets, Liberty Electric Cars will happily take your order today, for delivery in September. Liberty says off-road capability could be improved, due to superior underbelly ground clearance caused by an absence of bulky transmission housings. I can’t vouch for any rock-crawling acumen, but on asphalt the E-Range feels suitably well mannered and refined. Throttle response is velvety, linear and consistent. Braking is initially light but firms up quickly and progressively under your toes. Acceleration from a standstill feels instant and impressive. High speed manners – alas those I can’t talk about, given the hemmed-in urban roads of my test. As it is, I hope nobody with a Gatso gun was monitoring my traffic-light grand prix. Or indeed my U-turn, which confirmed that the steering remains light if a little slow geared. Managing director Ian Hobday joined me for my test drive, and he’s clearly proud of the car and the engineering that’s gone into it over the past 15 months. That huge battery? He says it’s the biggest ever fitted to a car, but swears it’s not the heaviest. Partly, that’s because Liberty has employed the largest individual lithium-polymer cells it could find. Whereas a Tesla roadster stores 56kWh in 6,831 finger-size cells, Liberty keeps its 75kWh in just 96 bricks. That means reduced complexity, and less physical cabling connecting it all up. There’s also no active thermal management – not needed in Northern Europe, according to Hobday. “It only really heats up when its charging,” he says, adding that cold weather is more of an issue than sweaty cells, with sub-zero weather leading to reduced range – a problem shared with other EVs. On the road there’s no hint that there are four separate motors pulling you along. Their efforts are seamlessly co-ordinated by Liberty’s control software. But the car I’m driving is a prototype, and there is some digital wrangling still to be done. Hobday says one of the toughest challenges has been interfacing with Land Rover’s electronics, to avoid a Christmas tree of warning lights in response to the many fuses, filters, reservoirs and sensors that are now missing in action. Indeed as I set off on my test, the dashboard chimed and advised me to check the non-existent oil. “By September, it’ll be sorted,” Hobday confidently predicts, adding that the Range Rover’s all-digital dashboard has actually made the job easier. “We don’t have to physically replace anything, we’ll just reprogram the fuel gauge to serve as a battery meter,” he says. The circular tachometer will also be repurposed to show energy flow between battery and wheels, in response to acceleration or regenerative braking. Regeneration with feet off both pedals feels very light – Hobday says it defaults to five per cent of maximum but can be tailored to a buyer’s preference. Personally, I like it as it is – I prefer to slow down when I want to slow down. Touch the brake and regen swings up to at least 15%, and upwards from there as you press more firmly. If halting is urgent, the big conventional discs will do the bulk of the work, of course. Hobday says overall weight, including the 500kg battery, is close enough to the standard car’s 2,810kg to pose no problems. Brakes, suspension and tyres are untouched. Official relations with Jaguar Land Rover may be “non-existent,” according to Hobday, but the engineer responsible for the current Range Rover’s undercarriage helpfully numbers among Liberty’s advisors. The standard car’s fully loaded weight rating is 3,200kg, so the E-Range’s capacity including people will presumably have fallen to 230kg from the donor car’s 380kg, which does actually sound a little tight. The four motors that propel the prototype are firmly bolted inboard, each one driving its wheel via a reduction gearset. Inboard rather than hub mounting preserves unsprung weight, maintaining the donor car’s ride and handling characteristics. I ask Hobday about pancake hub motors, and he predicts they will fail to catch on except for applications where a supple ride isn’t an issue, such as buses and trucks. There are a few other rough edges that remain to be smoothed before high-rolling customers will get their E-Ranges. You have to hit the start button with your foot off the brake, for example, or nothing happens. And you then have to put your foot back on the brake to move the gear selector out of park. There’s also a pump lurking under the bonnet, needed to provide vacuum braking assistance in the absence of an engine, which can be heard thrumming away when the car is stationary. 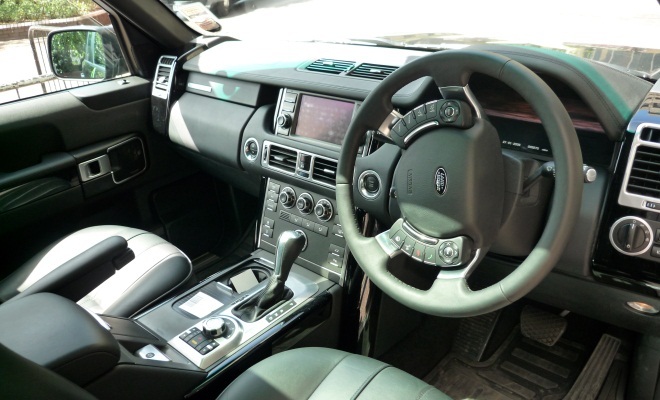 Other than that, the interior is Range Rover perfect – only quieter. The big battery needs a lot of recharging from empty – as much as 12 hours from a standard plug – but conversely the large capacity means you would need to complete a substantial trip to arrive with a nearly flat battery. In reality, overnight charging from a domestic socket will seldom leave the car wanting, but there are faster charging options. Hobday isn’t too worried about city dwellers with nowhere to plug in. “Most potential buyers will already have three-phase electricity installed for heating their swimming pools,” he notes. The 200-mile range also means, most days, the battery will not be deep cycled. As a result, Liberty is predicting a 300,000 mile, 13-year battery life. A projection that, of course, remains to be seen. Unlike most EV pedlars I’ve spoken to, Hobday doesn’t bother trying to say the car is deceptively cheap to run if you drive into London’s Congestion Charge zone every day. He merely notes that the current situation with BIK (Benefit in Kind tax, paid by company car drivers) has made the car much easier to sell in the UK. I’ve spent some time raking through the numbers to find out what he means. And the numbers are surprisingly good. If you’re earning £150,000-plus (and thus fall into the 50% PAYE bracket), work for a medium-sized firm, choose an E-Range as a company car and use it mostly for business mileage, the £160,000 electric car can actually be cheaper to run than an £80,000 diesel Range Rover. Which is something you most definitely can’t say about an Aston Martin or a Bentley. It’s all down to the big tax breaks on offer for electric cars. The precise size of the saving depends on how much you think the E-Range will be worth after three years. A new diesel Range Rover sheds half its value in three years. If the E-Range loses the same proportion, it could end up costing roughly half as much to run as a diesel Range Rover over the same period. In fact, the E-Range would need to depreciate by three quarters over three years to work out more expensive as a business vehicle than a diesel Range Rover. Hang onto the E-Range for longer than three years, and it just keeps on getting cheaper than a standard Range Rover, as ongoing tax savings pile up. The numbers also reveal another, very enticing possibility. If my employer buys me an E-Range and I run it for at least a year, the company can save up to £44,000 in corporation tax. I wonder how long an E-Range will take to lose the same amount in depreciation? Rarity might keep prices high, so there’s a vague possibility it will drop less than £44,000 in value over 12 months. Which means my boss can buy me an E-Range and make a profit. Now I wonder if I can make that argument stick?